Registered by Wm and Eleanor Lachman of Massachusetts in 1990, this plant is a cross between an unnamed seedling x H. 'Halcyon'. This cultivar forms a medium size (14 inches high by 34 inches wide) mound of slightly wavy, smooth textured foliage with average substance. 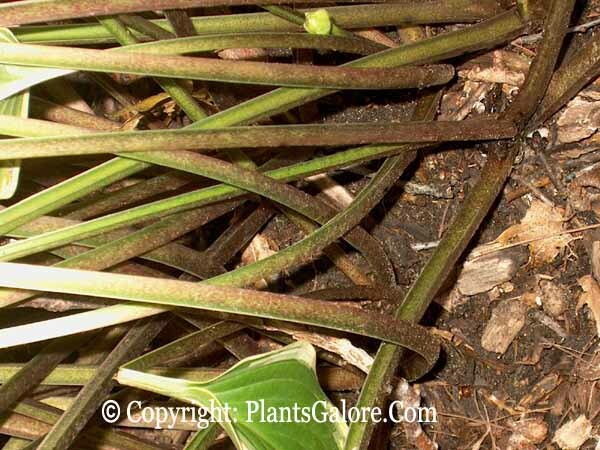 It forms a vase shaped clump and the leaves have reddish petioles (see below). From mid-July into August, it forms lavender flowers on 3 foot tall scapes followed by viable seeds. 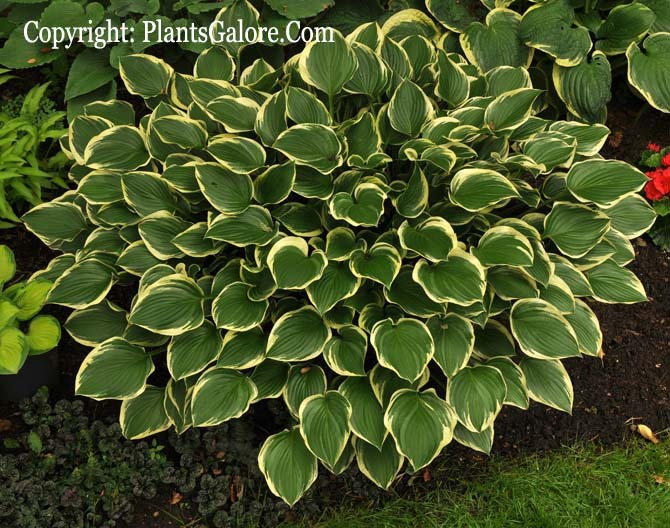 According to The Hosta Handbook by Mark Zilis (2000), "A factor often overlooked in hostas is the durability of the foliage over the course of the season. 'Torchlight' begins and ends the season looking great." The New Encyclopedia of Hostas by Diana Grenfell (2009) states: "Use as a specimen with contrasting foliage, such as ferns or grasses. Equally good in a container. A superb hosta...Burgundy-red petioles from the crown into the base of the leaf. Densely red dotted scapes from the crown into the base of flower bud."